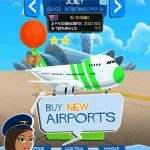 Game Insight’s Big Business Deluxe is a game for iOS and Android mobile platforms that allows you to be a business tycoon, albeit in the world of mobile gaming. 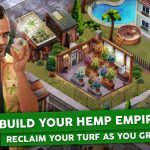 You can build a modern metropolis, set up your own business, and make millions while playing the game, though there will be some challenges that you’ll run into as you try to make your business profitable. You can use a number of different business strategies as you strive to become the best in your field, and in addition to all that, you’ll also have to take good care of the people in your city. Now, that we’ve briefed you on the game, let’s bring you a collection of Big Business Deluxe cheats, tips and strategies. While there are some tasks that really don’t take much time to complete, there are far more jobs, particularly in the later stages, that could really, really take a while in comparison. You have the option to spend some money in order to expedite these tasks and have them completed faster, but then again, it would usually be better to wait for the tasks to be completed. If you really aren’t the patient type of business tycoon and don’t want to pay either to speed up those tasks, you can also set the time on your device ahead by however long it takes to finish the longest task. After you do that, you can return to the game with the task completed, and repeat as often as needed. You won’t be penalized either for setting the time back to normal, so there’s nothing to worry about in that area. Upgrading your buildings and items, may they be warehouses, trucks, or production facilities, is important if you want to have more money now and earn it faster. Pay close attention to how these items are performing, and make sure you upgrade your storage buildings too so you have enough space to go around. Some may balk at the idea of playing a mobile game that has so much social interaction, but the Friends tab could really be helpful as you move forward. There are some upgrades that will only be available to you if you ask your friends, and if you don’t have too many friends who play Big Business Deluxe, you can always add people who play the game by visiting its Facebook page or checking comments sections to tips-and-tricks guides such as this one. Indeed, the social element of Big Business Deluxe is something we cannot, and should not ignore. Visiting randoms in the community can expedite the completion time they have for finishing tasks or projects, and that too happens when friends and randoms drop by your city. This helps increase your social rating, which, in turn, makes it more likely that your city will be visited by random individuals. They penalise you for using the time cheat, so better not to.